GlaxoSmithKline set aside $3.4 billion in 2011 to settle lawsuits over its Type 2 diabetes drug Avandia. Patients who took the drug blame the manufacturer for not disclosing that Avandia increased the risk of heart attack and cardiac death. Thousands of patients sued GlaxoSmithKline after they said they suffered heart problems because of taking Avandia. Injured people accused GSK of actively concealing the risks of using the Type 2 diabetes drug. Patients and family members reportedly filed more than 50,000 lawsuits against GSK in state and federal courts over Avandia and its side effects. 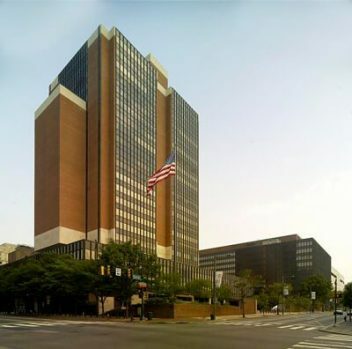 A judicial panel consolidated more than 5,000 federal cases in a Pennsylvania court. Patients who filed lawsuits blamed the company for the Avandia side effects they experienced. These injuries included heart attack, congestive heart failure, liver failure and death. The company settled Avandia lawsuits for billions. The company also paid $3 billion in federal government penalties to settle fraud allegations and another $319 million to 46 states. Lawsuits accused GlaxoSmithKline of actively concealing information regarding the risks from using Avandia and related drugs Avandamet and Avandaryl. The lawsuits also claimed GSK misrepresented the drugs as safe for their intended use. Avandia lawsuits accuse GSK of hiding risks and misrepresenting Avandia as safe. In some cases, surviving family members blamed the deaths of their loved ones on the drug. Several studies implicated Avandia as a factor in cardiovascular death, severe liver toxicity and increased risk of bone fractures. In addition to studies that found dangers, GSK submitted its own analysis to the U.S. Food and Drug Administration in August 2006 showing Avandia caused a 31 percent increased risk of heart attack, according to a lawsuit. In 2006, company officials acknowledged they had known of the drug’s potential heart-attack risk since at least 2005. But according to the New York Times, documents showed the company had data suggesting Avandia’s extensive heart problems almost as soon as the drug hit the market in 1999. The company, however, went to great lengths to keep those risks from the public, according to lawsuits. A class-action lawsuit brought in May 2007 became the first Avandia case against the company. Puerto Rico resident Celenio Cruz-Santana filed the class-action lawsuit against GSK. Several months later, a judicial panel transferred the case to Pennsylvania, along with other federal cases involving Avandia. In 2009, U.S. District Judge Cynthia M. Rufe granted a motion from the company to dismiss the lawsuit because Cruz-Santana had failed to file paperwork, specifically a plaintiff fact sheet. At one point, people had Avandia claims in federal courts around the country. The Judicial Panel on Multidistrict Litigation centralized the federal Avandia cases in the Eastern District of Pennsylvania on Oct. 16, 2007 in MDL No. 1871. The Avandia MDL included 5,299 total actions. In November 2011, the federal judge presiding over the Avandia MDL appointed a mediator to help resolve pending MDL cases via settlements, while proceeding with litigation on others. In February 2012, the judge announced that the court was satisfied with the progress of settlements and would now focus on resolving remaining cases through litigation. More than 5,299 cases that were part of the MDL have been resolved. Only one lawsuit was still pending in the MDL as of April 2019. To save time and money, GSK settled many Avandia cases out of court. In 2010 alone, GSK agreed to pay over a half-billion dollars in settlements. In May 2010, GSK settled more than 700 Avandia lawsuits for about $60 million. In July 2010, the company settled 10,000 more at a cost of $460 million. In early 2011, the first federal Avandia trials began. GSK agreed to pay a reported $250 million to settle 5,500 claims that Avandia had resulted in death. Information about how much money any individual won in a settlement is difficult to option because of confidentiality clauses that prevent people from sharing details. In January 2011, the company said it was setting aside $3.4 billion to pay for future Avandia litigation and settlement costs. In a statement at the time, the company’s head of global litigation acknowledged the “significant charge.” PD Villarreal said it was important to resolve the company’s long-standing legal matters. “We have closed out a number of major cases over the last year and we remain determined to do all we can to reduce our litigation risk,” his statement added.